Spotify Explain: Why we cut the Free Service..
At the beginning of May, Spotify changed the terms of their Free account and made a lot of people upset. We got a bunch of comments on our articles about the changes so we decided to interview Spotify about why they’d done it, and whether they still believed in their Free service. It was the power users of their Free service that took the hit when their listening time was halved to 10 hours a month and a 5 play-only limit was imposed on all songs. We questioned Spotify closely about why they’d done it, and whether they were giving up on the freemium model. UK PR Manager Sally Whately replied to us. – Spotify are still committed to having Free users: but they see it as a music player (import your MP3s from your computer) and a “discovery” service, rather than the previous listen to free music set-up that we knew and loved. Still – is it wise to hit your most dedicated users like that? Was the old Spotify too good to last? What do you think? Tell us in the comments. 1) A lot of people were very upset about your changes to Spotify Free. Why did you decide that the previous 20hr, ad-supported model Spotify Free level wasn’t sustainable? Spotify: We’ve shown that the model is doing extremely well, but as things stand we need to tweak the service to ensure everyone continues to have access to legal music. We have been required to put these changes in place to ensure we are able to continue to offer the Spotify service to as many people as possible and we are confident only the small percentage of heavier users of free will be affected. 2) Was it because you’re thinking about moving into the US and that American record labels drove a very hard deal on free listening? Spotify:No, this decision has nothing to do with our plans to move into the US. In terms of this, nothing is set yet but we will have both free and paid options when we launch in the US. 3) Are you trying to make the majority of your users payers rather than ad-supported listeners? Spotify:Absolutely not. We are committed to delivering the best possible service that everyone can enjoy. We have worked very hard to ensure that everyone has the ability to listen to, discover, share and manage their music legally and that has required us to put some limits in place. Spotify:Spotify Free is still a fantastic service. Our free users have access to a catalogue of over 13 million tracks, with 10,000 additional tracks added every single day. That’s still an amazing offer and all for free. The changes we have made primarily affect heavier Spotify Free/Open users as most free users mainly use Spotify to discover new music, so not only do our free users still have a massive catalogue to choose from but Spotify remains a great way to discover new music as well sharing and managing music. The average user won’t reach the limit on plays for the vast majority of tracks (7 out of 10) and we’ll continue to bring users the biggest and most diverse music catalogue available. And the majority of users of the free service discover around 50 new tracks per month. Our users are using Spotify to find new tracks to enjoy and share with friends and the changes to the service won’t get in their way of doing that. These new features mean that Spotify is the only music player our users need to manage all of their music. 5) Do you have any plans to change the 5 listens to one song ever rule? That has been flagged up as the harshest thing about the changes. Spotify:We’re always looking at our service to make sure it is the best we can offer for everyone. 6) Has Spotify given up on the Freemium model? Do you think an ad-supported music player can ever work? Spotify:Absolutely not – we have not given up on the Freemium model. It’s crucial that we continue to offer our users a free service that gives them access to all the world’s music with thousands of tracks added daily. We want to have a model that can work for everyone and not just a one size fits all. Having both a free and paid service that ensures that everyone has the ability to listen to, discover, share and manage their music legally. The Freemium model is crucial to Spotify’s continued growth and success. 7) Would you do any more flexible pricing options? I know you do a £5 a month deal but I actually got a message from a student asking if you could do a £3/£2 one for more limited amounts of music? it does sound a bit ridiculous to me – but someone did ask..
Spotify: We want to offer the widest possible choice of options for all our users and we recently announced an upgrade to our service, which includes a download service. This new MP3 download service makes it possible for our users to own their playlists – all in one easy step. By introducing a range of MP3 bundles, we’ve been able to offer some of the most competitive prices available – from as little as 50p per song. 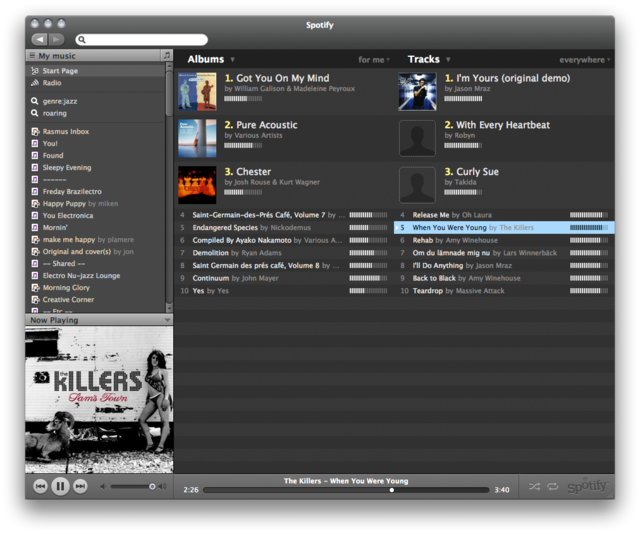 Our service is geared towards playlist building and buying – however it is still possible to buy a la carte on Spotify. Many of our users don’t have smartphones, or they don’t want the monthly expense of a subscription. What most do have is a device to play their music on the go, so offering downloads is a natural progression for us in order to ensure that everyone can access their favourite music whenever and wherever they are. 8) What do you say to the idea that cutting the number of Free users affects the service that paying subscribers get? For example reducing the number of playlists available (from friends, music blogs) and the amount of social interaction on the service. Spotify:It’s important to remember that the average user won’t reach the limit on plays for the vast majority of tracks and our free users discover around 50 new tracks per month, even after using Spotify for a year. The changes won’t get in the way of our users finding new tracks to enjoy and share with friends. 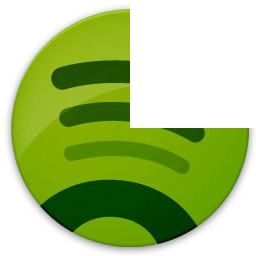 9) Do you know when Spotify is moving to the US? Spotify:We’re working hard to get the service to the US as soon as possible. All we can say right now is watch this space. Denmark Ban Marmite! Which Danish tech brand should we ban in retaliation? Classic bait and switch. I'm going back to free Pandora. Spotify was wonderful while it lasted but not willing to pay a monthly fee for a mobile app. Recently went past the 10 hour limit… not impressed, i didnt even no spotify does this. not worth it anymore. so going to uninstall! for someone who cant afford to keep buying music, it was very handy. Just a shame they had to have such limits! social aspect and music discovery and scrobbling i dotn think i would ever go back to spotify, even if they sent me a personal invitiation. I might try an account to see if this is any good.. Is there any reviews on the product? Your time isn’t going to waste with your posts. Thanks so much and stick with it No doubt you will defintely reach your goals! have a great day! I like this type of post because it will be useful for everyone. Thanks. This is going to be an excellent and informative panel from someone who’s been there and can give the hands-on perspective of how to deal with this infringement on one’s brand. I have used Spotify since it was first released… it was the place where all my music was. I had spent years building a collection of starred music to listen to. When these ridiculous cuts came in. The whole point of Spotify when it was first released was that it was the only thing available where you got to listen to music LEGALLY for FREE. they are sell-outs, and money grabbers. EVERYONE I know who used to use the service has moved back into illegal music listening. i have also left spotify ( i was going to say leaveing but i havent opened my spotify app for the last 3 weeks so consider it left). as for the majority of users not hitting their limit i have 20 friends who regularly swap band info from spotify and 18 hit their limit within 2 weeks. these changes have killed off the social aspect as 90% of my friends hit their limit early which stops us socialy swapping information. i was also a champion of spotify and have been a free beta user for over 3 years. as a beta tester i gave much feedback and support and also recomended many friends via the ivite systemt hat used to be in place. for all my hard work and free advertising to spotify i am rewarded by having my service cut, it actualy feels like a personal attack on us, the users that made spotify what it is today. grooveshark could be great but needs to work on its interface a lot more. anyway goodbye spotify and it was nice knowing you. I understand their reasons and good luck to them, but I won’t be using Spotify anymore – I doubt I (like most people, according to the statistic quoted here) ever reached the 10 hour limit in a month, so that’s fine and understandable as an attempt to persuade heavier users to start paying, but the 5-play limit seems bizarre as it’s clearly going to chase away casual users who maybe aren’t willing to pay but were at least helping to provide advertising dollars before. I just don’t see the point of the service anymore if I can only play a song five times. Well thank you ShinyShiny for asking them, but I won’t be going back to Spotify until they readdress the 5 times limit on a song. That is the main reason I’ve moved to grooveshark, as the limited 10hours doesnt affect me as a casual user. I’ve only discovered “new music” on Spotify via friends playlists, and I suspect it will suffer in time from a lack of free users and extra playlists. Such a shame as they are an excellent service, but for me personally, I don’t listen to enough music on demand to justify their charges.